A Human Resource Management Software or an HR Software plays a pivotal role in attending, managing and executing various banking industry functions. As banking is a service industry, it revolves around multiple numbers of service functions. This makes the banking industry inevitable to possess an HR Software for efficient and seamless management of their service functions and actions. If we take any banking industry, management of people and the management of tasks are the main accused or challenges they face. The efficient and effective management of both people and risks ultimately determines the banking industries success and growth. But an efficient management of people and risks is not handy in the absence of an effective tool. The banking industry is termed as People Business, as there involves around the large community of people rendering to banking service. Therefore the importance of an HR Software for Banking Industry comes utmost crucial as it efficiently manages the human resources. The success of any bank depends upon its service offered, the degree of customer satisfaction, and also it’s distinguishing features making them unique and different in the banking industry market. Therefore to meet the customer expectation, render a smooth, efficient, reliable, innovative and socially responsible banking, the implementation of HR Software for Banking Industry is prime. An HR Software for Banking Industry helps in streamlining every human resource management functions right from recruiting the right talents to the banking industry, taking care of customer requests and real-time processing of requests, managing the employee engagement in the industry, looking after their payroll and retirement benefits and more. Depending on the banking workflow, the HR software’s features can be magnified or reduced. An HR Software comes with the full utility of technologies for imparting timely communication and efficient management of business functions and applications. An HR Software for Banking Industry thus fully utilize the power of technology for collecting, storing, maintaining, and real-time accessing of customer and employee data. Every human resource information under the banking industry is stored, analyzed and automated by the HR Software for Banking Industry. Let us look more precise on the importance and benefits of HR Software for Banking Industry. As there is always a steady growth in economy giving birth to demographic dividends, the dependence on the banking industry is going at the steady speed. The rise in demand over the service of banking industry thus demands a large number of people to execute the functions. Here, comes the role of an HR Software for Banking Industry, who helps in recruiting the fresh talents, conduct the onboarding training or handling of the new set of employees, defining the role for each employee in the industry etc. In short, an HR Software helps in streamlining, automating and real-time processing of every employee functions and requirements, from the time of recruitment to his/her retirement. The HR Software management in banking industry comes integrated with strategic business plans helping the fulfillment of banking industry goals and missions. The efficient planning done with HR Software for Banking Industry helps in establishing a branding or reputation value for attracting, engaging and retaining the right candidates or employees. An HR Software for Banking Industry helps in conducting a refined recruitment, implementing a constant skill up-gradation programs, maintain the healthy relationship between the management and employees, easy opinion making or quick decision making, team or solo employee performance management etc. An HR Software for Banking Industry helps in analyzing the trends of the market, jot down the kind of recruitments or talents required by the bank, publishing the notice or advertisement seeking the talents in various portals and timely closure of posts once its filled etc. Once the selection process is successfully completed by the HR Software, it further helps in scrutinizing the new talents and existing talents via giving them online tests in studying the potentialities of each candidate and thus retaining the right talents with the institute. Every bank is supposed to undergo a lateral recruitment process as it helps in inducing the right talents or specialists with the prescribed set of skills and experience. Soon after overcoming the challenges of recruitment, the new challenge of retention comes into play. We often heard that people in some time leave their bank jobs for joining in finance, legal, accounting or teaching profession for many reasons like unattractive salary packages, lack of employee management, legal hurdles, inefficiency or lack of training and more. This challenge can be ruled out with HR Software in Banking as they come with robust employee management systems, retention tactics, and employee engagement strategies. Right from onboard training, to employee motivation, gamification and employee benefits, an HR Software efficiently and effectively handles very tasks that come under its pursuit. An HR Software helps in retaining the right talent or training the inefficient talent making them most suitable. 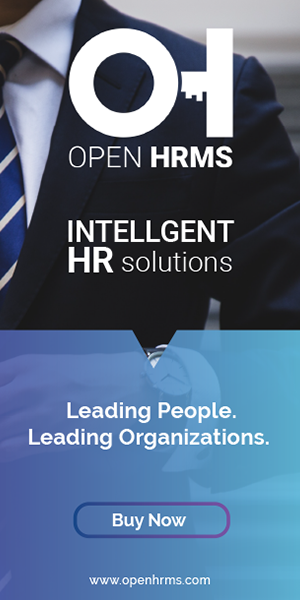 An HR Software for Banking Industry thus helps in implementing the development strategies like onboarding training, employee re-skilling, timely measuring of employee performance, policy promotions, transfer policies, talent acquisition and management, real-time communication and performance measurement. An HR Software for Banking Industry with its continuous up-gradation help the new generation employees to stand along or equally talented as senior generation employee as the team. This helps in making a balance in the work culture. Other miscellaneous benefits of HR Software for Banking Industry includes compiling of employee handbook through real times accessing of employee records through their robust database, emergency evacuation in few cases, maintaining an accurate and complete employee and customer database, timely reports and manual publishing, payroll distribution, efficient management of administrative tasks pertaining to accounts and finance, customer relations, inventory etc. In short, an HR Software for Banking Industry helps in automating every action, streamlining every business processes, helping in conducting every business transaction in seconds or minutes. Every manual entry, unlike the conventional banking, are ruled with HR Software for Banking Industry, paving the way for easy and smooth functioning. Every challenge of earlier banking like procedural delays, inaccurate information, improper documentation, expensive store management are ruled with HR Software in Banking. Hi, This blog is really informative, briefly described about HRMS. Keep it up. First off I would like to say terrific blog! I had a quick question which I'd like to ask if you do not mind. I was interested to find out how you center yourself and clear your head prior to writing. I have had a hard time clearing my thoughts in getting my ideas out there. I do take pleasure in writing however it just seems like the first 10 to 15 minutes are wasted just trying to figure out how to begin. Any suggestions or hints?